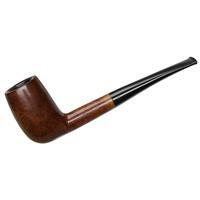 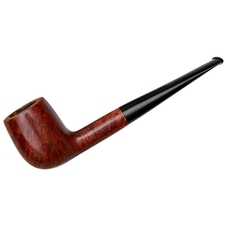 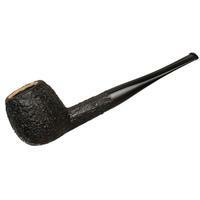 An unassuming straight Billiard, this Georg Jensen briar sports a subtle bit of Danish lift, along with a long, pronounced tapered stem and a concise, lighter-depth rustication. Condition is good, with just some rim darkening and tooth marks. 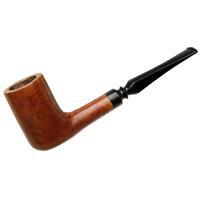 Bowl Height: 2.01 in./51.05 mm. 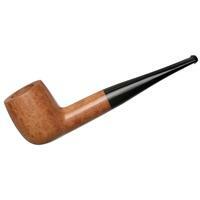 Chamber Depth: 1.67 in./42.42 mm. 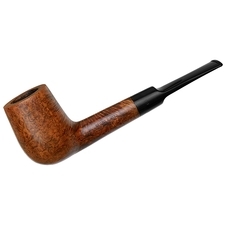 Chamber Diameter: 0.72 in./18.29 mm. 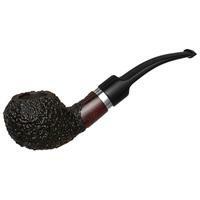 Outside Diameter: 1.41 in./35.81 mm.